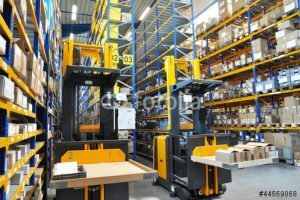 The low level order picker is generally used for loads that can comfortably be picked from ground level. 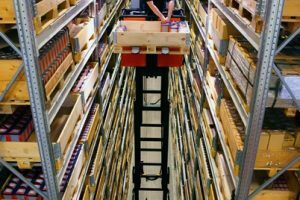 Order pickers can operate in very narrow aisles, using guides and can move quickly between the picking stations. 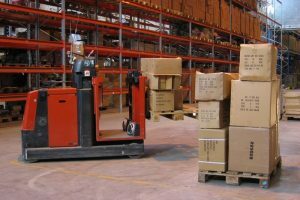 High Level order pickers are manoeuvred from in a cage attached to the fork carriage and uses pallets.